UK-based start-up Mayku has released a vacuum former that's powered by a Hoover and small enough to fit on a desktop. 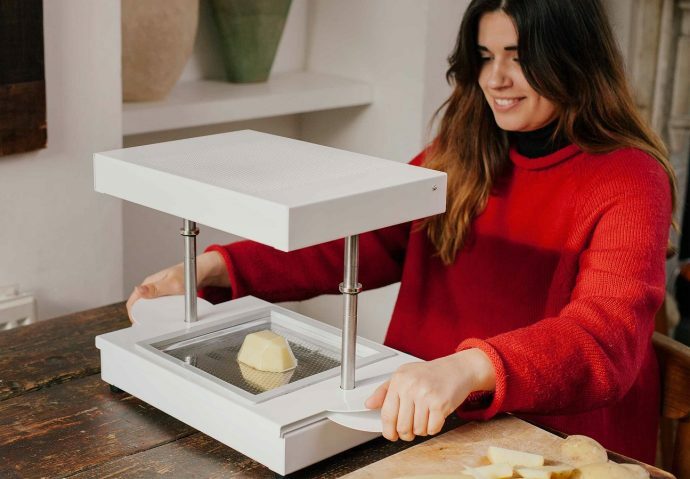 FormBox – which was funded for more than $500,000 on Kickstarter – shrinks and simplifies the usual vacuum forming machine, making it more accessible for people working on small projects. After a successful start, the team wanted to make sure their website was equally brilliant as the products they are selling and developing. In the run-up to a brand relaunch, Mayku employed my services to re-write their entire website and script a series of promotional videos. Working alongside the team to develop their correct tone of voice, the website copy now represents the clever, interesting and fun product they sell. I have also supported the brand by updating several of the website blogs. These will soon be published (November ‘18) here. The blog is a hugely important part of the website, as this is where they engage with the community of makers offering tips and inspiration for using their Formbox.